Marketing forms an essential part of the career or business of many financial services professionals. 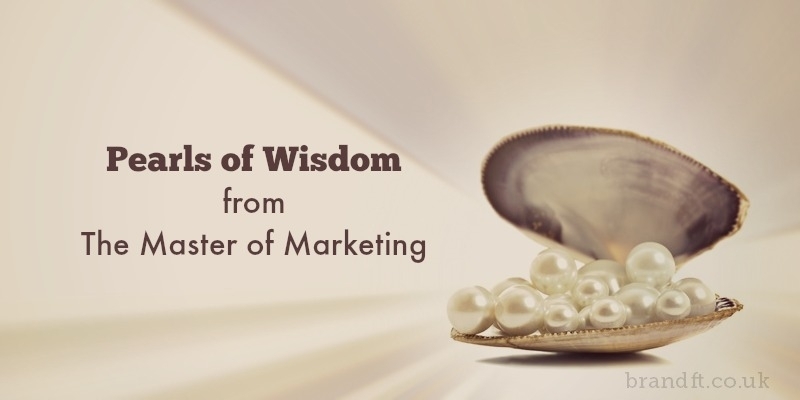 Here, we touch on some pearls of wisdom from one of the most renowned marketers and innovators of today. Even if you are lucky enough to have a large client bank, you still need to keep your clients engaged with your service and learn how to prompt them to obtain advice at the right times. As I’m relatively new to freelance paraplanning, marketing is a new skill that I’ve needed to learn. My research into this fascinating field has resulted in one name standing out above all others. Many of you will know of Seth, and some of you will already be implementing his ideas into your work and business. However, for those who don’t, here’s a very brief overview. Seth Godin is an extremely successful marketer and innovator, who has worked with many of the world’s largest firms and is the author of countless thought provoking books that mainly focus on the subject of marketing. The one book that I feel is most relevant for financial services is Purple Cow. Basically, we’re all doing things the same as each other, which I feel is especially true in financial services. This is boring your potential clients, and if you wish to capture your audience’s attention and stand out from the crowd, you need to dare to be different. If you don’t have time for the books, I’d suggest at the very least you sign up for his blog. You’ll receive great ideas and wisdom straight into your inbox and they’re mostly very short and quick to absorb. Take some of my highlights from last year. Often, we get sidetracked when we forget about “smallest possible.” If you make the audience you’re initially serving too big, you will dilute the very thing you set out to make, avoid critical mass, and compromise the magic of what you’re building. You’ll make average stuff for average people instead of something powerful for the few. By “smallest possible” I don’t mean, “too small.” I mean the smallest number that eventually leads to the kernel of conversation that enables you to grow. Marketing is an essential part of the career of many financial services professionals. Reputation is what people expect us to do next. It’s their expectation of the quality and character of the next thing we produce or say or do. We control our actions (even when it feels like we don’t) and our actions over time (especially when we think no one is looking) earn our reputation. Seth’s writings have taught me some extremely important lessons. Different ideas, books and blog posts will resonate with each of you, but what I feel is important is gaining a generic business and marketing perspective from someone not in financial services. It’s great to take a wider perspective and then see how it can be applied to your own service. The two main lessons I’ve learned from Seth were. Don’t try and be successful being like everyone else. Sure you should incorporate a good amount of what already works, but you need to be brave enough to be unique and innovative. What will he inspire you to create?